St Davids will tick so many boxes for those looking for a quiet retreat for a few days. A corner of the UK with natural charm, history, fresh air, good food and quiet – at least outside peak summer popularity. 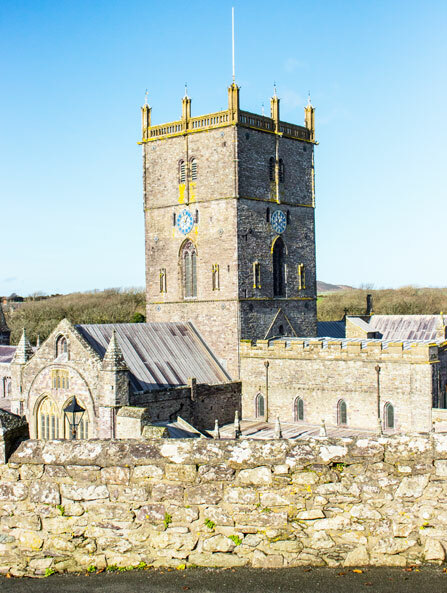 St Davids has its beautiful Cathedral, making this small town technically a city and the smallest city in the UK. It’s perhaps at its most beautiful in the spring with a backdrop of blue sky and the yellow sheen of daffs all around. And autumn brings its own tapestry of rust hues. The coast isn’t far away, with its magnificent beaches and walks. But where to stay? Penrhiw Hotel St Davids is just a few minutes’ walk from the cathedral door. That isn’t estate agent speak for a brisk canter of a brace of miles. This former vicarage truly is conveniently placed for both town and cathedral, but with the tranquillity of nature as far as the eye can see. Penrhiw was acquired by the Griffiths Roch Foundation in 2009 and reopened as a luxury eight-bedroom hotel in 2012. It’s a hotel but with the persona of a home. Granted, that home is grander and better situated than the abodes of many of its visitors, me included, but it has that air, nevertheless. It was built in the 19th century amid acres of private gardens, with mature trees, woodland paths, a river, and views over the surrounding countryside. 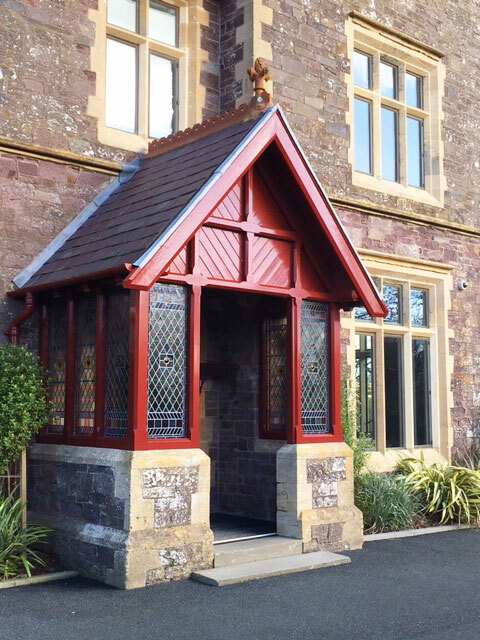 Penrhiw Hotel is a lovely example of Victorian architecture in a style which has been described as Tudorbethan, although the house dates back to an era before that phrase became popular at the turn of the 20th century. There are also two beautiful fireplaces with decorative tiles by William De Morgan, the celebrated Arts and Crafts ceramics maker. Its interior has been splendidly restored, retaining features of its semi-ecclesiastic past. There are niches, gothic doors, woodwork aplenty and neutral colours. The public rooms are cosy and all rooms are well-proportioned. The walls are hung with contemporary art canvases and all mod cons are here, as one would expect from 5-star accommodation. There is an honour bar in the dining room, and a tea and coffee station. There isn’t a restaurant, although a cooked breakfast is served here. 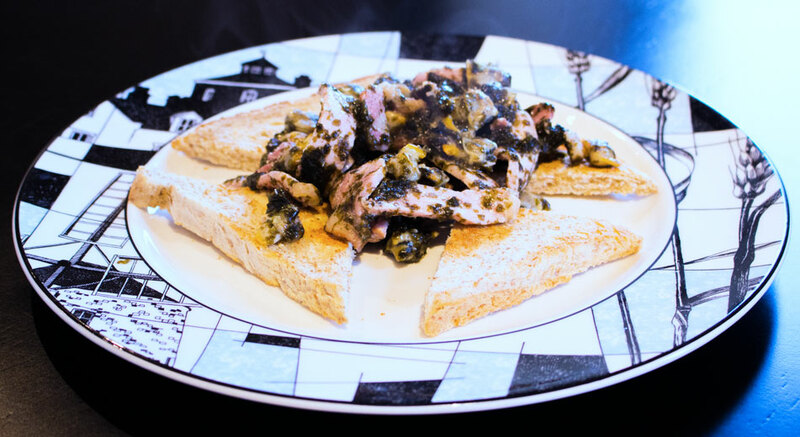 Don’t miss the Welsh speciality of laverbread. There are complimentary transfers available to the AA-2-Rosette Blas Restaurant at Twr y Felin for dinner; it’s also part of this group of notable hotels. Luggage transfers are available for guests staying at either of the sister hotels, the abovementioned former windmill Twr y Felin, or 12th century Roch Castle. The staircase is carpeted with leather and there are rugs of the same material in some of the bedrooms. The owners have made all three of their hotels comfortable for those with allergies. There are six rooms in the main house. Our room sported a large and comfortable four-poster but a modern take on that bed. The bathroom was as big as many a lesser hotel bedroom, with a shower cubicle of considerable size. Penrhiw Hotel, St Davids, was awarded AA Five-star Gold guest accommodation in 2016 and it’s easy to see why. Penrhiw Hotel is an ideal bolt-hole for a quiet weekend away but one can also hire the whole place for a family reunion, a wedding or celebration of anything for the discerning. It offers privacy with amenity and seclusion, with all the trappings of a city, albeit the smallest in the UK, just 10 minutes’ walk away. We will return.